Posted: January 13, 2010 10:00 p.m. Updated: January 14, 2010 4:55 a.m.
Todd Tucker of Valencia filmed "Monster Mutt" in the SCV. Doug Jones, left and Bruce Economou from the film "My Name is Jerry." Jones, of Canyon Country, has appeared in many Hollywood films, but usually under "rubber makeup." "My Name is Jerry" is his first leading role using his own face. Economou is the film's executive producer. 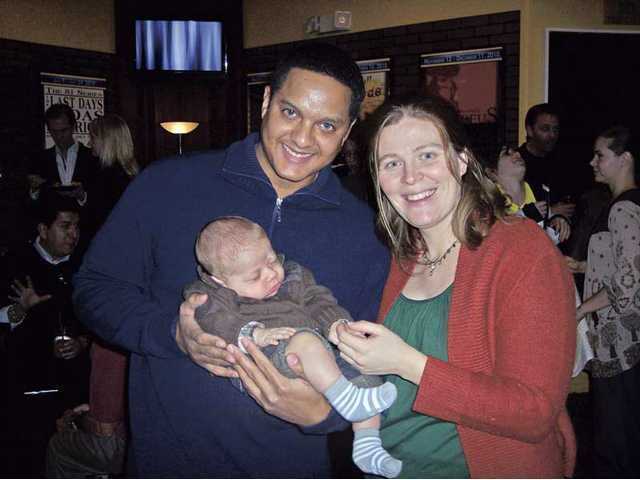 Left to right, Ramon Hamilton and wife Jennifer Fischer with their son Sky Fischer Hamilton. Hamilton and Fischer are co-founders of the SCV Film Festival. Supporters of the Santa Clarita Film Festival were invited to meet the filmmakers at a special VIP event held on the eve of the festival which screened 50 films Friday, Saturday and Sunday. The festival was founded by Ramon Hamilton and Jennifer Fischer. This year's event marked the fifth annual festival which Hamilton said was also the most well attended. At this year's VIP event Hamilton and Fischer also presented their latest collaboration, Sky Fischer Hamilton, who celebrated his two-month birthday on the same day. "Ramon and I started the film festival together, we've made five films together but the best thing we've ever made together is our son," said Fischer. The VIP night and weekend festival were held at the Repertory East Theater in Newhall. "Tonight is very exciting because this is where all the filmmakers come," said Ovington Michael Owston, artistic director of the REP.
"I love the kickoff party. This a great group and they're a great addition to the creative community of the Santa Clarita Valley." The VIP event featured a screening of a short film "The Mouse that Soared" and a feature length independent film, "My Name is Jerry." 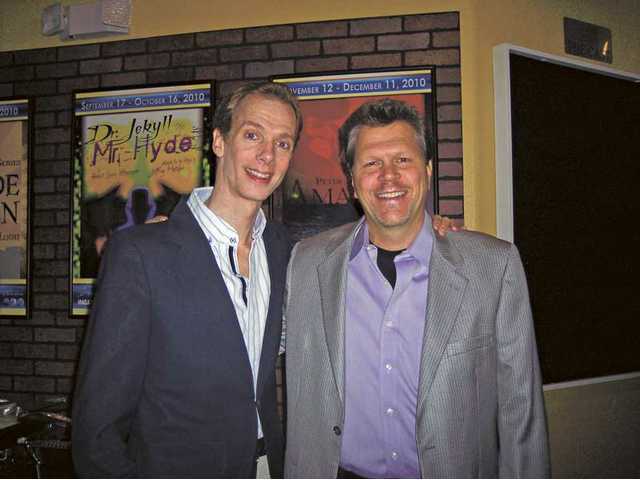 Doug Jones, of Canyon Country, is the star of "My Name is Jerry." Jones has an extensive acting resume and has appeared as the Silver Surfer in "The Fantastic Four: The Rise of the Silver Surfer," Fauno/Pale Man in "Pan's Labyrinth," and as Abe Sapien in "Hellboy" and "Hellboy II." He will appear as the "Ice Cream Man" in the upcoming supernatural thriller "Legion." 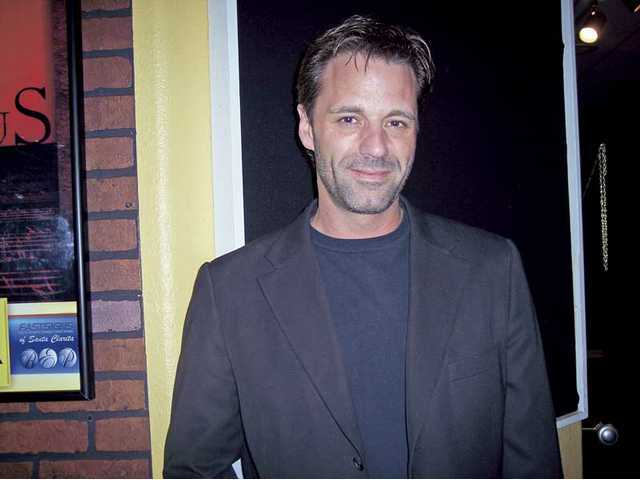 He has also appeared extensively on television including appearances in "Criminal Minds" and "CSI." 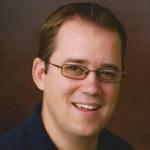 Jones also works regularly performing voice overs for animation. Jones said it was exciting to play a leading man in "My Name is Jerry." "I'm known for being under rubber makeup and this is a film with no rubber makeup on my face. I got to play with my own face in a lead role," said Jones. "I've used my own face before, but usually as a sidekick or as a guest star in a TV show or lots of commercials. This is the first time headlining a film with this face and it was kind of scary for me," said Jones. Jones said he was excited to be able to attend a screening of the film in the Santa Clarita Valley. "I'm very proud to be showing this movie in my own home town," he said. Bruce Economou, executive producer of "My Name is Jerry," said the film was shot on a "shoestring" budget because of a unique collaboration with Ball State University in Muncie, Ind. "What is unique about the movie is that it was supported by Ball State and included a combination of professionals and college students," he said. "I'd say half the crew were students, from the film and television programs at Ball State." Furthering the Ball State connection, Jones just happens to be a graduate of Ball State. Economou said he served not only as an executive producer, but also as a teacher. "We had a blast - everyone dug in and worked hard and the results are pretty darn good for a film with such a small budget. It was a lot of fun," he said. "It was a nice group of kids and professionals that all worked together. The kids learned a lot. It was a great experience." Todd Tucker of Valencia is know for his special effects makeup work with Drac Studios, which he now owns. Tucker was the recipient of one of the first grants from the city of Santa Clarita from the film incentive program which was instituted to attract and retain feature film and television production to the SCV. The incentive program subsidizes permit fees, and works with production companies to find solutions to reduce costs of safety personnel, including fire and sheriff. Tucker's film was shot entirely within the SCV. A trailer of his film, "Monster Mutt," was on Sunday, before the festival's award ceremony. "We shot through the entire month of July with puppets and kids and animals and heat. It was a lot of fun. We're really proud of it," he said. "This is a wholesome, PG, family film, it is kind of like ‘ET' meets ‘The Mask' with a lot of effects and a giant animatronic-monster puppet-dog." Tucker said he was pleased to be a recipient of the city's film incentive program. "The city was great to work with," he said. "We shot at Old Orchard Elementary School, the fire station in Stevenson Ranch and took over my neighborhood in Valencia. Everyone was great and we got a lot of support. We would film every movie here if we could because it was so easy to deal with everyone. Also, it looks amazing, we shot at the right time where everything was at its greenest." After a successful weekend of film screenings which included a variety of short and feature length films the winners of the festival were announced at a special Sunday evening ceremony. The Script 2 Screen winning film was "Back to the Past." "This film clearly stood out," said Hamilton. Script 2 Screen is a filmmaking program run by the SCV Festival that gives students an opportunity to develop life skills while discovering the joys of filmmaking, said Hamilton. Script 2 Screen students learn storytelling, screen writing, acting, directing, cinematography, editing and animation while utilizing the latest professional equipment, camera techniques and software. Best Junior High School film was "Happy Thanksgiving" from Arroyo Seco Junior High School. Best High School film was "Reading to Jack" from Valencia High School. The two honorable mention films included "Jim" - also from Valencia High School - and "Fining Hercules" from Golden Valley High School. Best College film was "Family Pieces" from California State University, Northridge. Best Short was "The Mouse that Soared" directed by Kyle Bell of Portland, Ore. The clever animated film has already garnered dozens of film festival awards. Best Film Shot on Film, an award sponsored by Fuji film went to "Unitards" directed by J. Scott Featherstone of Salt Lake City. "My Name is Jerry" captured the award for "Best Feature." "This is very cool," said Economou, who collected the trophy on behalf of the film. "Thank you for having us here. This is a tiny movie that keeps going and going and hopefully we'll have distribution lined up in the next couple of months." Preceding the awards Todd Tucker, of Valencia, introduced the trailer for "Monster Mutt." "We had amazing films this year and I want to thank all the filmmakers, you are the ones who made our festival great," said Fischer. Hamilton said the weekend event was a complete success. "We had three sellouts, back-to-back-to-back. We had to put out extra chairs," said Hamilton. "In terms of the quality of films no year can compete with this year. It's been a great year." For more information about the SCV Film Festival visit www.scvfilmfestival.com.